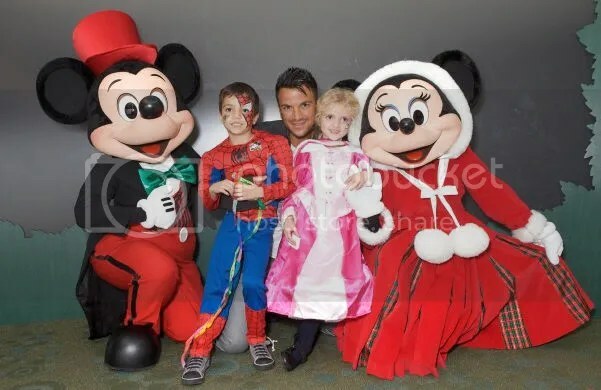 Peter Andre attended The Disney Store Christmas launch party in Oxford Street, London with his two children Junior Savva, 6, and Princess Tiaamii Crystal Esther, 4, on Wednesday, November 2nd. 10% of all sales made in the store will be donated to the Great Ormond Street Children’s Charity. This entry was posted in Dad and Child Photos, Events. Bookmark the permalink.